Let’s face it: beef is delicious but it is not good for the environment. It’s a conundrum for conscientious carnivores who enjoy the taste of a perfectly grilled quarter pounder as much as they enjoy not spontaneously combusting because of climate change. That’s why people like Patrick O. Brown, M.D., Ph.D. of Impossible Foods has spent, by his estimate, nearly $80 million developing a plant-based ground beef substitute that looks and feels like the real thing, and aims to win over both red meat lovers and vegetarians who still get a little drooly thinking about bygone burgers. It’s not the only “bleeding” meat-free patty on the market, but while its competitor Beyond Meat earned notoriety for selling out at Whole Foods in an hour, Impossible Burgers are getting a major endorsement in the restaurant realm from Momofuku’s David Chang. 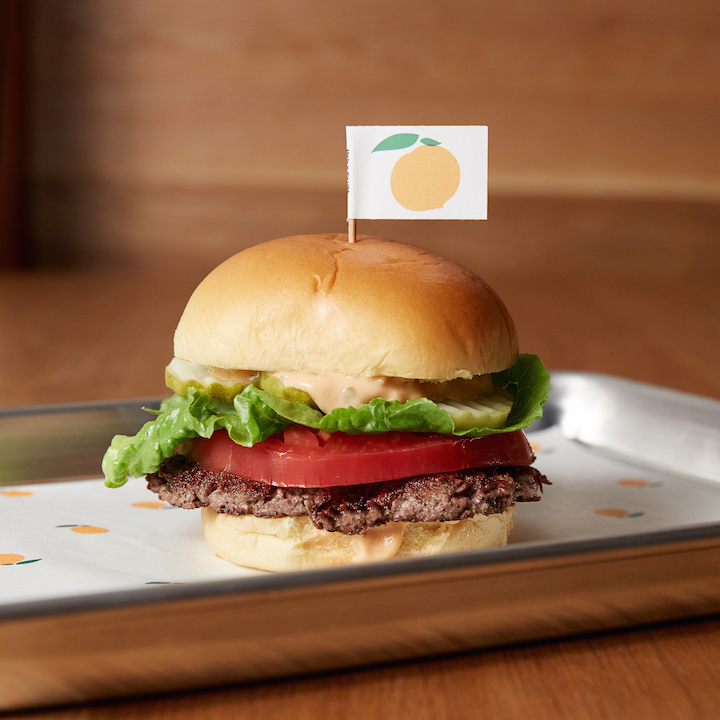 As of Wednesday July 27th, the Impossible Burger will be available (in limited daily supply) on the menu at Chang’s Momofuku Nishi where it will be available as the house burger and in a patty melt style dish. Part of Impossible Foods’ goal is to keep the cost of their faux meat down near the same price as organic ground chuck, and that comparable price is reflected in the Nishi version’s price tag of only $12 with fries. Brown explained that each quarter pound patty saves about a 10-minute shower’s worth of water, 18 automobile miles and 75 square feet of land usage compared to a typical beef burger. Yes, that’s each patty, so if these burgers end up taking off, it could add up to quite an impact on the ecosystem. “Okay,” you’re about to say, “so what’s it made of?” The make-up of Impossible Burgers is, for the most part, familiar ingredients. There’s wheat protein, soy protein, a protein extracted from potatoes, and coconut oil, all of which provide the necessary chew, texture and fattiness we’ve come to expect from our burgers. There are also some less common additions like xanthan gum and another polysaccharide derived from Japanese yams, again for texture and what we’ll call “grillability.” But the star of the show, as it were, for making these burgers look, cook and taste like the real think is a heme protein. It’s the red roots of legumes like fava beans and, acting like the hemoglobin in mammals, it’s what approximates the bloody, iron-y flavor that makes our mouths water. At the announcement event, Brown, food science writer Harold McGee and chef Chang actually mixed a batch of the “meat’ in front of us, proving it wasn’t necessary to rely on some kind of weird science or alchemy to make it work. Certainly when put on a bun and topped with lettuce, cheese, tomato, pickles and Nishi’s house sauce, it passes as a burger. I might not know the difference had I not been told. But I was told, so I tasted the patty on it’s own and it’s not bad, but it’s not beef. It’s certainly the closest to the real thing that’s on the market, and it works well enough, which is really the point. Chang’s endorsement plus the statement these burgers make–that our beef production needs to be curbed for a variety of reasons–is well worth a try and, hey, if you happen to like it, you probably won’t miss the real thing.